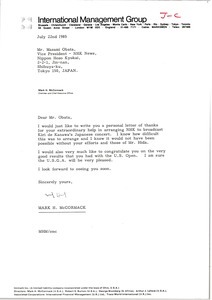 McCormack thanks Kobayashi for the meeting in Tokyo. 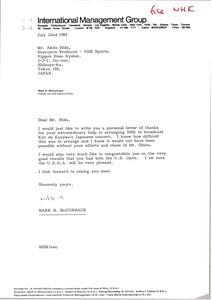 McCormack thanks Hida for help in arranging the Japan Broadcasting Corporation airing of Kiri Te Kanawa's Japanese concert. 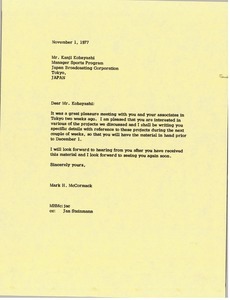 McCormack thanks Obata for help in arranging the Japan Broadcasting Corporation airing of Kiri Te Kanawa's Japanese concert. 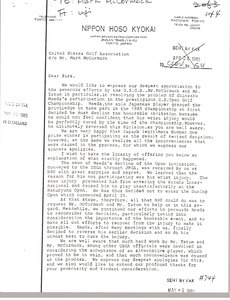 Concerning Shinsaku Maeda, a Japanese Golfer who was invited to play at the 1985 U.S. Open Golf Championship. 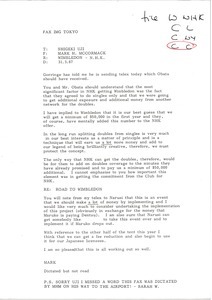 Maeda initially turned the offer down due to a wrist injury, but later reversed this decision. 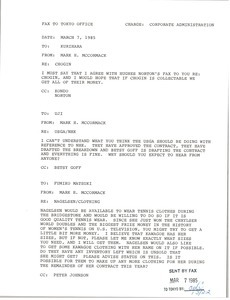 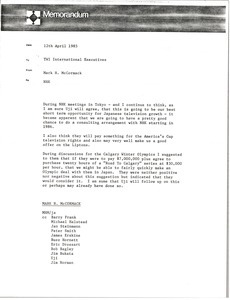 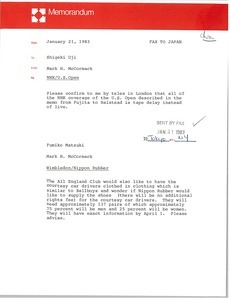 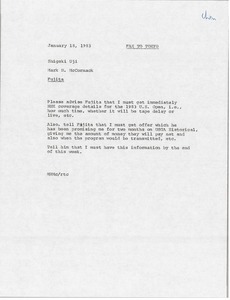 McCormack notes his meetings in Tokyo with Japan Broadcasting Corporation in which they discussed America's Cup television rights, and the Calgary Winter Olympics. 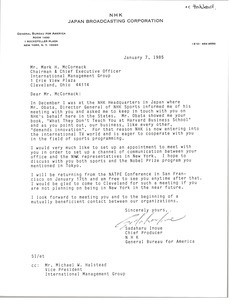 Concerning the relationship between IMG and NHK.